By now you should have four life points. Cross the bridge and you'll get to the first Labyrinth. 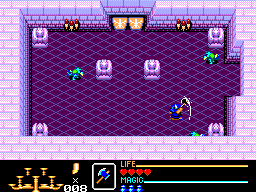 If you happen to have lost some life, kill the globi outside the labyrinth, they usually drop loafs and meat. 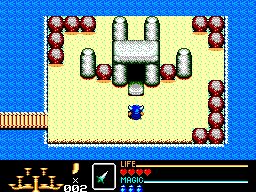 You can fight them again by entering and exiting the labyrinth as many times as you want. Once you enter the labyrinth, there are two doors, enter the right one. 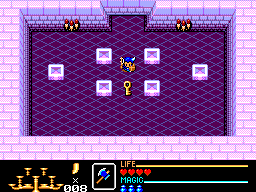 You'll engage some monsters and once you kill them a key will appear in the middle of the room. Take the key, it will be needed later to open some locked doors. 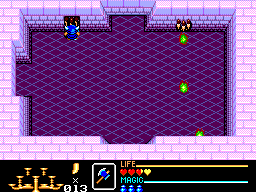 Then go back to the first room, and from there keep going up. 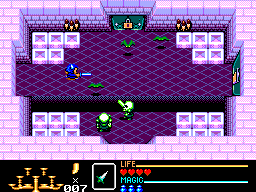 Kill all enemies in the room (right picture) and ta-da! the shut door will open as if by magic! Go left. If you go right you'll be trapped with 4 bats until you kill each one of them. 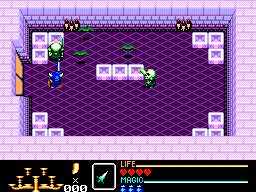 Again you'll have to face and kill some monsters. A small bridge will pop up, connecting the upper part and the lower of the room. You might want to go down, but wait! Don't go down yet, head left instead (needs key). You'll find a chest. Open it and take the Battle Axe. After you equip it, your attack power will be stronger, on the other hand your attack range will be shortened by half, but don't worry, it's well worth the trade. 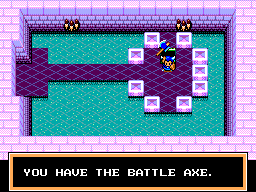 Now that you have the Battle Axe, killing bats and skeletons should be a tad easier. Go back to the previous room and go down. 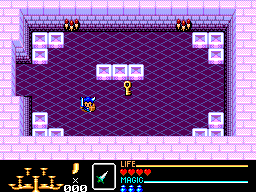 Kill all enemies and a key will appear. Now you can open the other locked door. 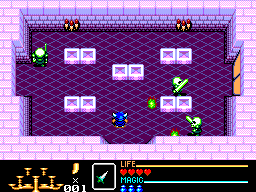 Keep going and you'll eventually enter a room with 3 bizarrians. Careful, though they're relatively weak, they'll deal a lot of damage if they hit you. Kill them to open the shut door. This time you don't need to kill all monsters to continue. Simply push the left torch and both doors will open. Go left first and kill all bizarians in the room. Then, take the key and proceed. 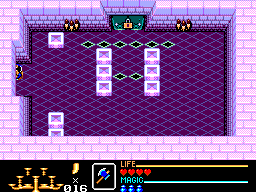 Finally you'll reach the final room. Open the locked door and prepare yourself to face the first boss. Also watch out for the springing traps! 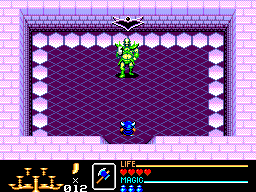 There's a trick to beat the first boss, stand right at the doorway and wait for him to come to you. His attacks won't reach you but yours will still damage him! 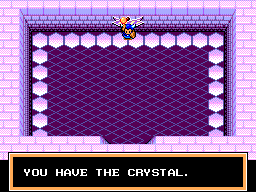 Once you defeat him take the orange crystal and you're through with the first labyrinth. 9 more to go.